Experiencing a rounded Musical Education is one of the most important opportunities for children and adults alike and especially where the ethos is one of encouragement and the emphasis is on enjoyment. Vivace Music currently provides lessons in Piano, Theory and Singing for students in the Bromley area, taught by Ijeoma Mbubaegbu. We aim to inspire and develop a passion for music within the child or young person, reworking and augmenting existing drive to reach the full potential for each student, whether young or old. Inspiration brings dedication, and to inspire is the core of what we do. It is important that all contact with music leads to growth as an individual and confidence as a person. We believe that support from family, friends and mentors is vital, and we will work with and encourage parents and guardians to support the musical development of each pupil, as this greatly increases capacity for learning. Finally, regular practice and performance are key to music becoming integrated into a student's' daily life. A good musician learns not only to play with their fingers, but also with their heart, soul and mind - this requires repeated and regular application. 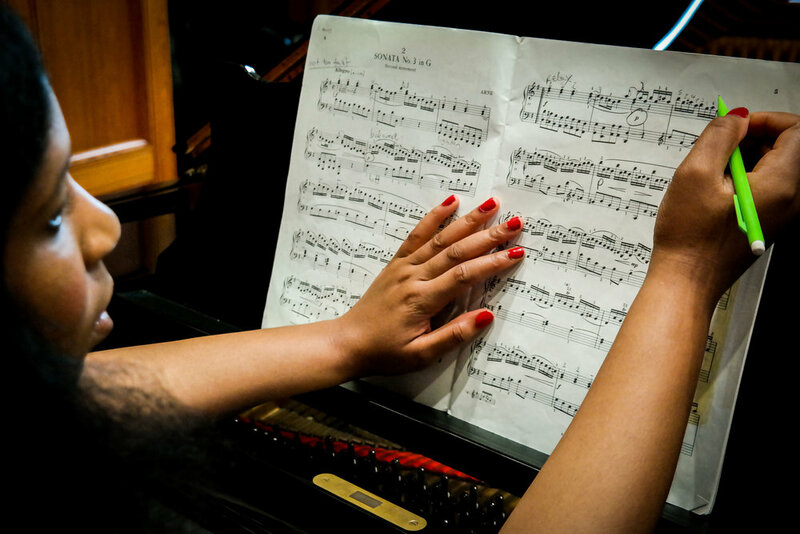 They are focused on music making regardless of whether or not they pursue grades, targets or objectives as music must enrich their existence and guide their success.